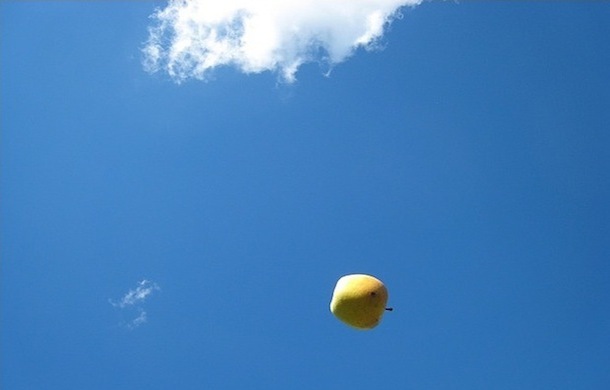 An Apple patent gives us some clues about the cloud-based iTunes we’re all expecting any moment now–namely, how it’ll make streaming content a seamless experience. 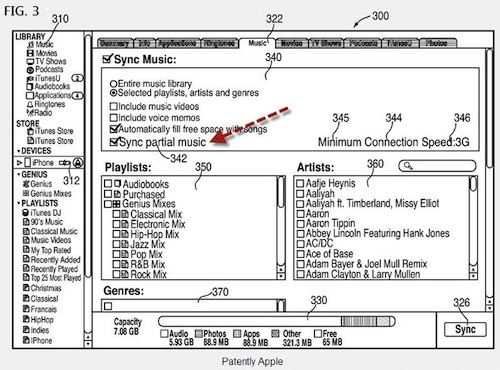 An Apple patent filed in late 2009 gives us a few clues about its possible future plans for streaming music–namely, that you’ll start streaming from your device, and seamless finish streaming from a remote source (Apple’s huge server farm in North Carolina, most probably, although there’s also news about a new farm in Silicon Valley). “In some embodiments, the user will be able to enable a partial storage/streaming option on their iTunes application,” the patent notes, and the tune could start playing from your local device while the code goes off and handshakes with Apple’s storage facility “requesting a stream of the remaining portion of the media item upon starting local playback.” That’s pretty neat, and it could mean a much lighter burden on your Mac’s (or PC’s) hard drives as you’d technically only have to store parts of every file you’ve bought rather than the full-sized MP3. There’s also the facility to store the files 100% on a cloud storage system, meaning you’d take up literally no space on your local drives–this may be even more convenient and brings the added benefit of no threat of data loss when one of your own drives goes bad, though it does come at the expense of eating up bandwidth. We wonder how the fixed-line ISPs and 3G mobile suppliers will react to this, in an age of throttling and download ceilings, especially since Apple’s the biggest digital music supplier in the U.S.
Security would be handled by way of authenticated devices–similar to how iTunes is limited to five installations on one account now–which means even if someone else gains access to your cloud library, they wouldn’t be able to play any content, although there’s also a traditional password access layer and the possibility of streaming the data in encrypted format. Apple’s also got an eye on protecting the music label’s IP, and notes that “to ensure that devices could only stream media items that the user has purchased or to which the user otherwise has legal access, the content source could require an authentication scheme (e.g., a username and password, or a secure token).” That sounds a little weak, and in this implementation there’s no hint that Apple will scan your non-iTunes-purchased MP3s to see if they’re legal or not, but it does afford a degree of protection.